Rabbi Sholom Paltiel speaking at a Dinner benefitting Chabad of Port Washington. Archive Photo. A BBC story purportedly linking Michael Cohen, President Donald Trump’s personal lawyer, and the Ukrainian President through a ‘charity’ called Chabad of Port Washington was denied by Shliach Rabbi Shalom Paltiel, and the BBC issued a clarification to the original story. 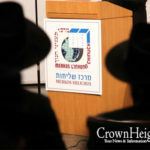 The story, which was published on May 23, was widely cited and redistributed across multiple news sites – despite the information being unverified and untrue, according to Rabbi Paltiel who said he was never reached out to. One day later the BBC issued a correction to the story, noting that those ‘officials’ met at a fundraiser, but are simply members of the congregation and have no ties to the organization itself. Some have reached out to me about yesterday’s article in the BBC, which wrongfully thrust our shul into the center of a story in which we have no role. The BBC has since walked back what they wrote, clarifying that the individuals (whose names they would not disclose) had, incidentally, attended our Chabad in the past. The BBC’s claim that our organization played a role in any of this is false and unsubstantiated. Neither I nor any of our staff know, or have been in contact with, any current or former members of the Ukrainian parliament, nor Michael Cohen. Nobody at the BBC bothered to verify the claim with us, or even request comment, as is basic journalistic practice. Despite the fast-paced news culture we live in and the understandable desire to get a story out first, someone from the BBC could have easily picked up the phone or sent us an email. The connections stated in that article ran through an individual, Felix Sater. While he was involved with our Chabad, it was always in the realm of Judaism and the synagogue, and never political or business related, rendering us absolutely pointless to the story. We, at Chabad of Port Washington, will continue to focus on our mission, providing a home away from home for any man, woman or child who wishes to explore their Jewish heritage in a warm, inviting and non-political environment. 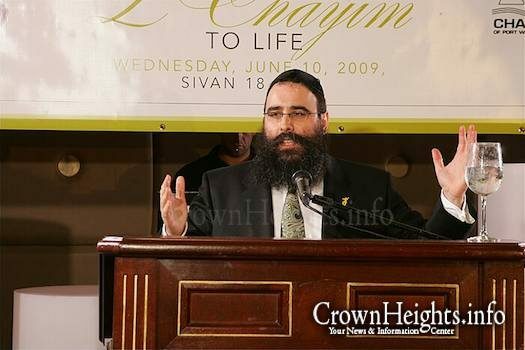 He [a Ukrainian MP] in turn used personal contacts in a Jewish charity in New York state, Chabad of Port Washington. This eventually led to Michael Cohen, the president’s lawyer and trusted fixer. Mr Cohen was paid $400,000. Well known fact that BBC is antisemitic an out right unfriendly new line which doesn’t favor Israel Jews or any other connection to any form of Torah and yiddishkiet. 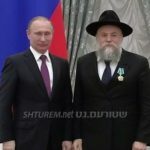 Saying that, I am not at all surprised and their original story connecting Chabad with Mr. Cohen etc. perhaps a hard pill to swallow for BBC knowing the close knit connections in the White House with Jews and yiddishkiet. What does surprise me is their apology to Rabbi Paltiel and Chabad of Port Washington. I must give credit where it’s due and thank BBC for their strength and boldness to apologize in writing to Rabbi Paltiel.